All Nations Executive Director Joshua Johnson reflects on the believer's role in fulfilling the Great Commission. Find out how you can come alongside All Nations, a missions’ organization started by Floyd McClung, to follow Christ's command. You are also invited to Further Together, an event featuring Jaime Saint and honoring the life of the late missionary John Chau. 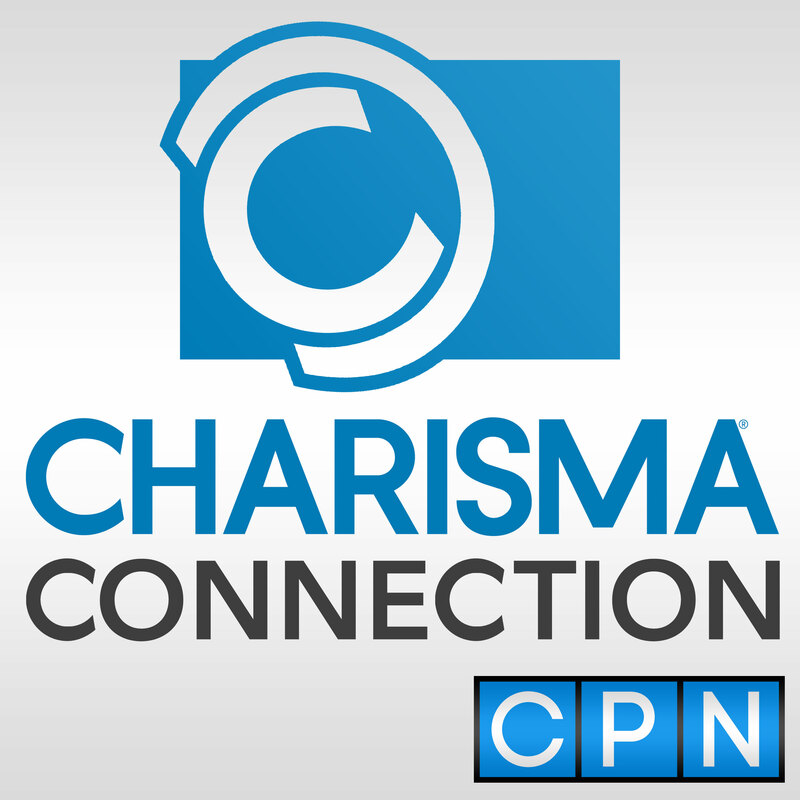 Chris Johnson: Welcome to Charisma Connection. I'm Chris Johnson and today we focus on the Great Commission, which all believers must heed because it was, in fact, a call and a command from our Lord Jesus. And it's not just for missionaries in remote places. Isn't that right, Joshua Johnson? Joshua Johnson: Yes, that is correct. The call of all believers of Jesus is to go and make disciples. Chris Johnson: Right. Well, Joshua, thank you for joining us today. You're here from All Nations and Joshua, what do you do at All Nations? Tell us about your organization. Joshua Johnson: Yes, I'm the executive director of the North America hub that's based in Kansas City. We are a missions’ training and sending organization that was founded by Floyd McClung in 1993. He wanted to see Jesus worship by all the peoples of the earth. To do that we go and we make disciples, and we train leaders to ignite church planting business, on what we call the neglected peoples. It’s where places and people that don't know Jesus yet … we want to make Jesus known where He's not yet known. Chris Johnson: April 5, I understand, is a special date for you. Why is that? Joshua Johnson: April 5 is our annual fundraiser event for All Nations and it’s to bring people together to share the message that Jesus is worthy. Jesus is worth going to the nations. Jesus is worth making disciples here in the states and so we get to do that together. Our message this year, we're calling it Further Together at our banquets, and we really want to see everybody involved in the Great Commission … everybody from church pastors and mission leaders to missionaries, to every believer in Jesus; every believer engaged in making disciples among people who don't yet know Jesus so that they can go out and make new disciples. We want something that is simple, that is reproducible so that the heart of Jesus can be in the center of every culture. We want to see His heart being worshiped in every culture in the world. Chris Johnson: I do like the name Further Together. I think it encapsulates the fact that we all must work together as the church. Jesus talked a lot about the unity of the church. And this is how we're going to get further in the Great Commission. Joshua Johnson: To be able to sell it, he actually said, the gifts that Jesus gave the apostles and prophets, evangelists, shepherds and teachers for the equipping of the saints for the work of the ministry, we could all work together as the body of Christ and grow into maturity so that we won't be swayed … that we would be mature believers. In Ephesians 4, that’s what Paul was talking about, that this is what we need to do. There is one God, one faith, one hope, one baptism. So. we really want to say, let's do this together as the body of Christ, that it's just All Nations trying to go make disciples. But it's every believer, every person in the body of Christ who has a part and a role to play. So, if we could do this together, we could actually see the Great Commission accomplished and we could see cities and communities and people transformed for Jesus. We're going to see a lot of brokenness become wholeness. That's our dream, our vision. We want to see that accomplished. So, we're trying to bring together the body of Christ, to activate them on the mission of God. Chris Johnson: And that is going to be quite a day when we see all those things come to pass. Where can people get tickets and sign up if they want to attend your fundraiser event? Joshua Johnson: The best place is allnations.us, our web address, or you could email events at all nations.us. If you could do that, if you go on our website, there's a picture of our main speaker for the event, Jamie Saint. Click on that and you could register for the event. Chris Johnson: Now for those who don't know, Jamie Saint is quite a featured speaker. He has quite a history and missions. Could you tell us something about him? Joshua Johnson: Jamie’s grandfather, Nate Saint, who, along with Jim Elliot and three other missionaries to Ecuador in 1956 tried to reach the Huaorani tribe in Ecuador, Nate Saint and the other four were speared to death on the beach while they're trying to reach this tribe. But the great story is that Elizabeth Elliot, Nate Saint’s sister, went a couple of years later. They went back to the tribe and the tribe found Jesus, they came to Jesus and they started following him. And, they're still following him today as a tribe is very thankful for people coming in and helping them find Jesus. It's a incredible story of redemption, of grace, of something that God uses for good that the enemy intended for evil. We see this beautiful story of what Jesus did and became for things like this, for the redemption of all people so that He can be worshipped. So, we're really excited to have to Jamie Saint come and share his story with us and the legacy that he brings to the missions’ world. Chris Johnson: I imagine he's going to be an exceptional speaker. If people want to know about his history, they could actually read the book End of the Spear or watch the movie “End of the Spear” of that same name. So, there's another story. You will be honoring another great missionary, John Chau, that evening. Could you say something about that? Joshua Johnson: Every year at our banquet, we feature some of the impact that missionaries have made with All Nations and seeing them transform lives. One of the stories we'll share briefly is the story of John Allen Chau. But specifically, one of our staff members wrote a song. Last year, John passed in November. It’s a beautiful song about seeing John and the North Sentinelese people worshiping around the throne of Jesus. We know that that's going to happen one day. So, we're going to share that song and have a time to pray for the North Sentinelese people so that they can find Jesus, that they can be redeemed. We can see that come to pass. We know in Revelation that people from every tribe, tongue and nation will worship around the throne of Jesus. Our hope is that something that happened in Ecuador back then will also happened in this story … that there is going to be a hope and there's going to be redemption. There is going to be a different story than what it told right now. We're just in the middle of the story. For the rest of the interview with Joshua Johnson, please click here.